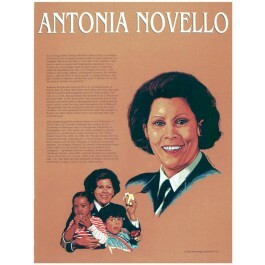 This poster features a striking image and concise biography of Antonia Novello, the first woman and first Hispanic to be the U.S. Surgeon General. 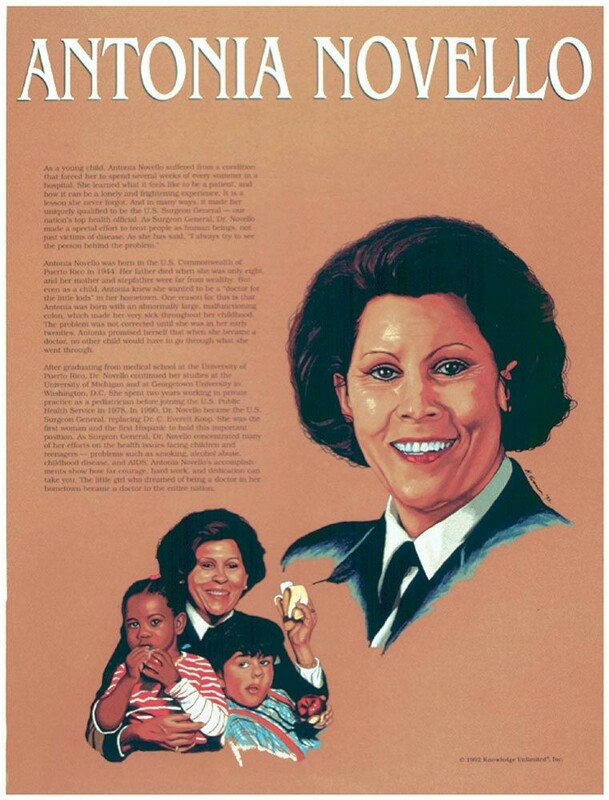 Born in Puerto Rico in 1944, Antonia Novello overcame physical and financial hardships to become a physician, and eventually a doctor for the whole nation.